Having a penpal gives you much more than just friendship. It's an opportunity to learn about different places, different people, different cultures, and a fun natural way for our children to develop their writing skills. 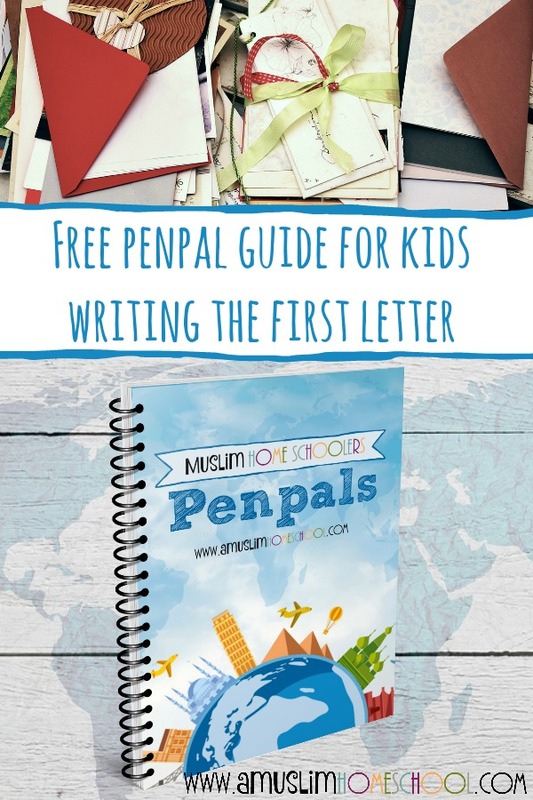 If you have ever thought of finding a penpal for your children, read on and download a free Penpal guide for kids, to help write their first letter. The internet has made the world a whole lot smaller, bringing people miles away a whole lot closer at the click of a button. And whilst this is absolutely amazing, I feel that relying so much on technology has somehow made even those near to us, seem further apart as we hide ourselves behind some kind of screen. The joy of letter writing is dying out, as more and more of us take to technology as our primary means of written communication; email, text or messaging apps. But reading an email doesn't generate anywhere near the same excitement as holding an envelope in your hands and tearing it open to discover the carefully crafted handwritten message it brings. Emails are no where near as personal as the handwritten musings on beautiful paper or little pictures or doodles kids so often love to decorate it with. Writing a letter is a bonding experience, its warming and shows personality that even the best written email can never replicate. Having a penpal is an awesome opportunity to learn about different parts of the world and meet people from different cultures that you'd never ordinarily meet in your every day life. Its also a nice way to learn about yourself, as you think about what to share about your thoughts, ideas and experiences. A fun, natural way to practice penmanship skills. Helps to develop a writers voice. Discover different parts of the world. Find out more about where you live so you are able to share interesting information. Understand the difference between formal and informal writing. 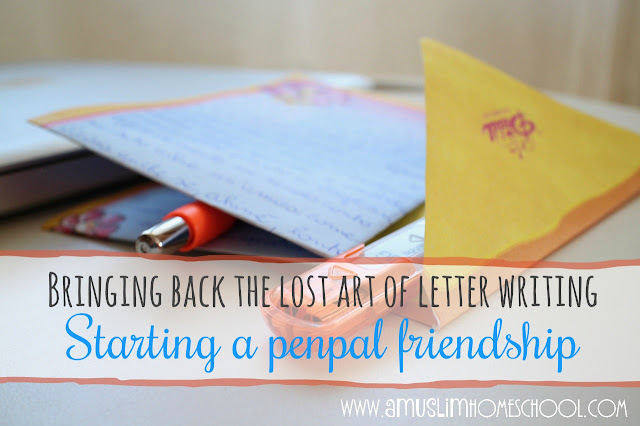 Learn how to write and address a letter. Learn about stamps and their purpose. 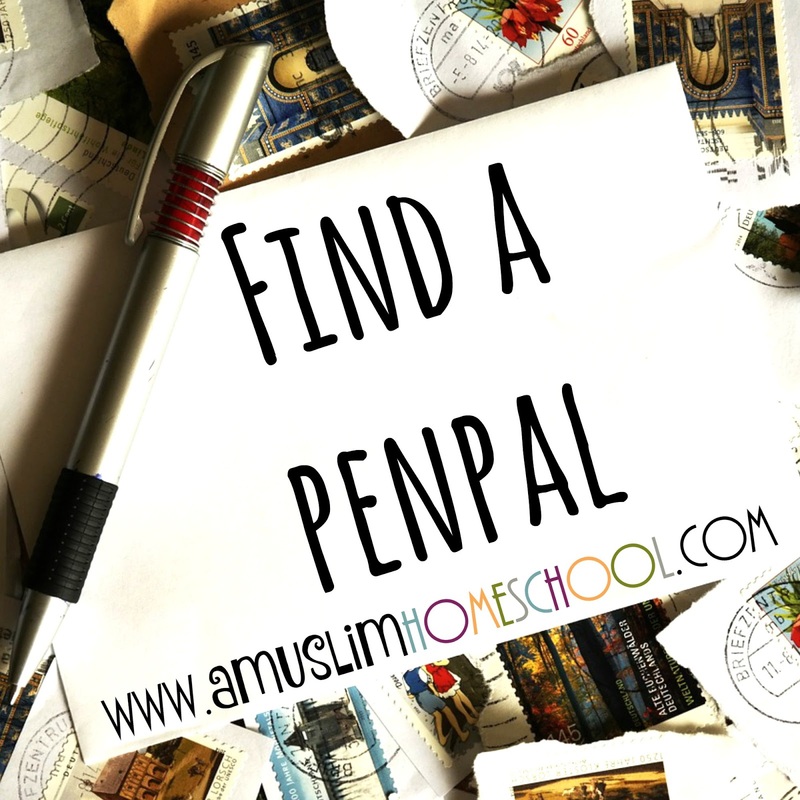 Want to find a penpal for your kids? Over in our private Facebook group Muslim Homeschoolers and brand-new group, Muslim Mamas Hangout we have started pairing up similar aged and gendered kids from different parts of the world as penfriends. 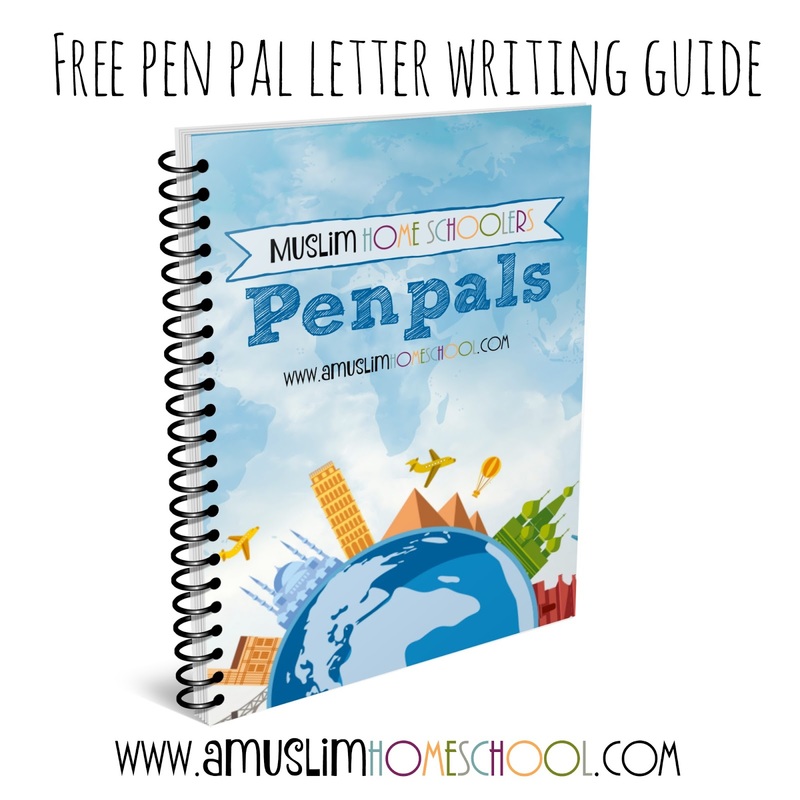 If you would like to join us, head on over to the Muslim Homeschoolers group where we discuss and support home-schooling conversations, and Muslim Mamas Hangout where we discuss and support general parenting issues, you can register your children and find a suitable match to write to inshaAllah.